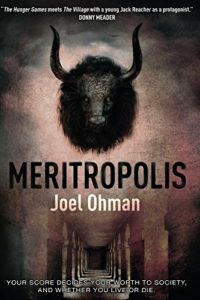 Joel Ohman is the author of the #1 bestselling Meritropolis trilogy. Click here to browse all books available on Amazon or scroll down to browse individual titles and read reviews. 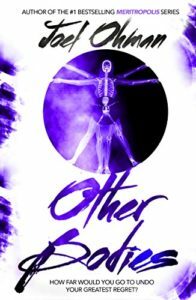 NEW RELEASE – BUY NOW ON AMAZON! 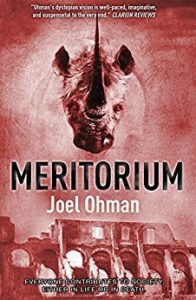 Charley has escaped from Meritropolis…but in his quest to take down the System that has taken his brother from him, he must go through Meritorium, a city where gladiatorial games of life or death combat are waged between High Scores and Low Scores, man and beast. 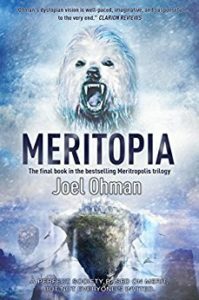 In this thrilling conclusion to the bestselling Meritropolis trilogy, Charley and company chase the Czar to Meritopia, a utopian city set among celestial heights in the mountains. Just to get near the city, Charley will have to brave terrifying new animal combos roaming wild among the stark wilderness, and if he succeeds in summiting the peak, there’s no assurances that he will even be able to gain access.